TIME's Person of the Year hasn't always secured his or her place in the history books (anyone remember Owen D. Young? Anyone? 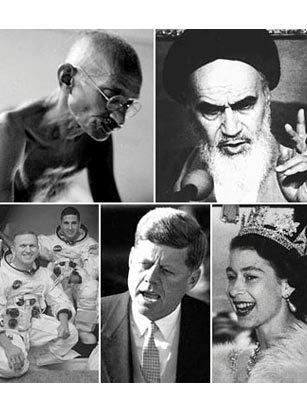 ), but many honorees remain unforgettable: Gandhi, Khomeini, Kennedy, Elizabeth II, the Apollo 8 astronauts Anders, Borman and Lovell  each has left an indelible mark. In the photo galleries on the following pages, TIME profiles its most compelling past choices for Person of the Year, the leaders (of both good and bad), the adventurers and the statesmen whose presence reached far beyond any single year, and whose impact we still feel today.